Turmeric has exploded in popularity in the past few years, making an appearance in all kinds of beverages and dishes for humans. Believe it or not, this ancient Indian spice’s healing powers are useful for our furry friends, too. 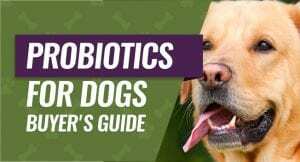 If you’re interested in using turmeric for your dog, read this guide to discover how to do so safely. Turmeric is a common kitchen spice with a golden orange color. It’s the spice that gives curry its signature hue, and it comes from the same plant family as ginger. Turmeric has a mild earthy taste. It’s commonly consumed in savory dishes, but can also be added to smoothies and teas. As Western health enthusiasts have discovered in recent years, turmeric is also an essential herb in ancient Ayurvedic and Chinese medicines, renowned for its healing properties. 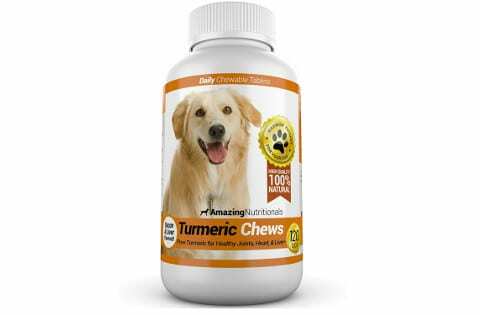 You can give turmeric to your dog in the form of a simple paste to help him absorb the nutrients more easily. Why is Turmeric Good for Dogs? Anti-inflammatory: Turmeric is an all-natural anti-inflammatory, which is helpful for alleviating diseases caused by excess inflammation such as arthritis. A proper dosage of turmeric can be as effective as ibuprofen or aspirin. Alleviate digestive and gastrointestinal issues: Due to its anti-inflammatory effects, turmeric has a range of other benefits, one of them being that it relieves the symptoms of inflammatory bowel disease and other digestive conditions. Reduce cholesterol: Turmeric lowers bad cholesterol in the blood, improving your dog’s overall heart health. Improve liver function: Turmeric is rich in curcumin, a compound that helps the liver filter out toxins and regulate your blood. Proper liver function is essential to your dog’s health. Antioxidant power: Turmeric is also an antioxidant, so it helps neutralize free radicals that would otherwise hasten cell damage. Antioxidants help prevent your dog from developing tumors, too. Treat cancer: Not only can turmeric prevent cancer, but research shows that it’s also a promising herbal treatment for killing cancer cells and preventing them from multiplying. Use as a steroid: Lastly, turmeric is a natural alternative to regular steroids for dogs who take them for joint pain or allergies. You can even use turmeric in combination with steroids, and it will reduce the pesky side effects that regular steroids have. Most research regarding turmeric safety has been performed on humans, not dogs. However, many dog owners have used turmeric as a supplement without any ill effects, and it’s considered a safe supplement at regular doses. Still, turmeric may be unsafe for specific dogs because it can interact with some other medications. If your dog is on blood thinners, anti-inflammatories, diabetes drugs or chemotherapy treatment, consult with a veterinarian before adding turmeric to your dog’s regimen. Dogs with kidney stones should also steer away from turmeric. It increases the level of oxalate in the blood, which can lead to further stone development. For other dogs, start with a small dosage, increase it gradually and monitor your dog for any reactions. It’s always a good idea with consult with a dog herbalist or veterinarian first. To get all of the benefits of a turmeric supplement, it’s important to use the right dose. Too little turmeric or too much turmeric can negatively affect your dog. Follow these guidelines for the best results. Small dogs: Start with about 1/4 teaspoon per day. Medium dogs: Start with 1/2 teaspoon per day. Large dogs: Start with 3/4 teaspoon per day. Extra-large dogs: Start with 1 teaspoon per day. Gradually increase the dosage every 5-7 days. The maximum dosage for a large dog is about one tablespoon. You can also feed your dog the same dose broken up into smaller amounts throughout the day to ease it into his system. 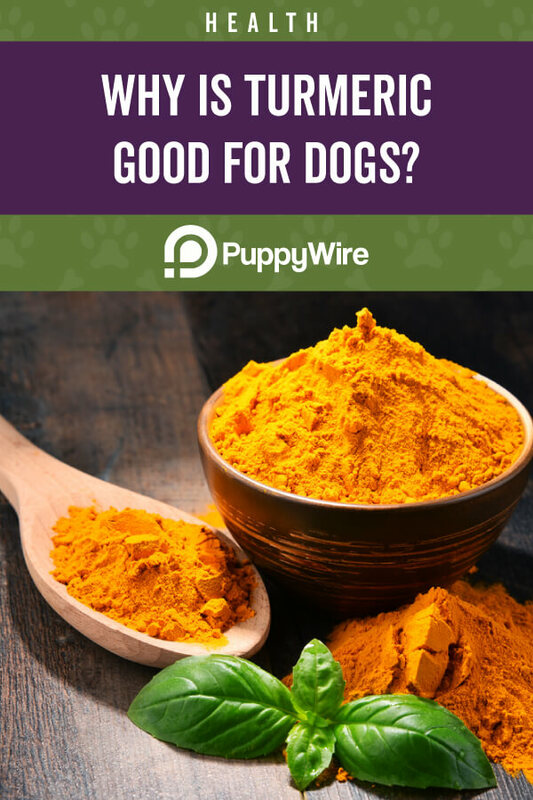 Importantly, turmeric powder used alone will not provide many benefits to your dog. Instead, you need to mix the powder into a paste and add it to your dog’s food. You can use either an oil or water to make the turmeric into a paste. Adding black pepper is another recommended technique for boosting the turmeric’s effects. Are There Any Side Effects of Turmeric for Dogs? Turmeric is an all-natural supplement, but that doesn’t mean that it doesn’t have potential side effects. Even herbal medicines can adversely affect both humans and dogs. It’s best to start small and never go above the recommended dosage to avoid these effects. Keep in mind that most of these side effects were observed in humans, not dogs, but it’s still worthwhile to keep them in mind. If you think turmeric could be useful for your dog but aren’t sure about making your own paste, buying a pre-made supplement for dogs is a great solution. 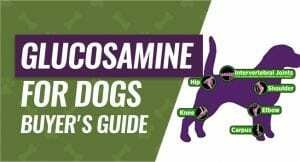 You don’t have to worry about figuring out the correct dosage or measurements on your own — instead, the tablets come in a standardized dose so that you can use the right number of tablets for your dog’s size. The Turmeric Chews by Amazing Nutritionals come in the form of a bacon- and liver-flavored tablet, with a small dose in each tablet. Each bottle has 120 tablets, making this a good value for the money. This product seems to be most highly appreciated by senior dog owners. After using the supplement for several weeks, many users noticed that dogs with mobility or joint issues were able to move around more easily, which in turn improved their overall quality of life. There’s one main downside to this product that users mention: the taste. Despite the dog-friendly flavor, many dogs aren’t fooled by the taste and may refuse to take the supplement unless it’s disguised in their food. This is true for the vast majority of dog supplements, however. Like most natural remedies, it may take some time to see whether the turmeric is working for your dog. Natural products don’t take effect immediately. Some users started seeing results after a few days while others didn’t see any until weeks later. If you have a dog with joint pain, digestive problems or other health issues that can be helped by turmeric, this supplement is a good choice as long as you have a bit of time to spare to wait for it to kick in. Dog owners who prefer to use natural products whenever possible can benefit a great deal from turmeric for dogs. Most owners do not observe side effects, and it could make a world of difference for your pet.